Hi Im Kat and I service Harrington Park and surrounding suburbs. 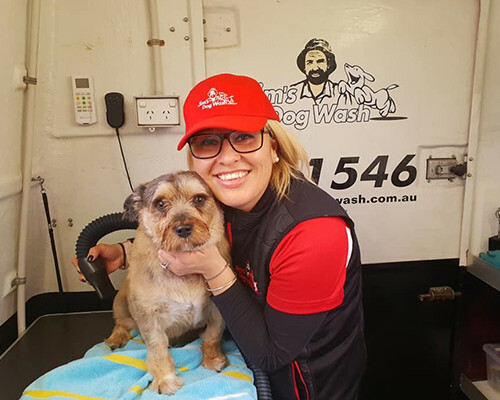 With over 13 years of Vet Nursing experience not only can I groom and pamper your pet from head to toe with a warm Hydro bath, 2 shampoo’s, coat conditioning, blow dry, nail clipping and ear cleaning I can offer some advice on the health and well being of your pet. Please call 131 564 and a Jims Customer Service person will put you in contact with me. I also give complimentary tummy rubs and cuddles so call 131 546 today I would be happy to offer you a quote.